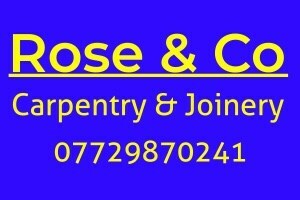 Rose & Co Carpentry & Joinery - Bathrooms, Bedrooms, Carpenter, Kitchens based in Southend-on-Sea, Essex. Hi my name is Ben, I've been in the trade for over 10 years covering all aspects of carpentry and joinery, if you have any questions or enquiries feel free to call me on 07729870241. I completed my time served level 3 apprenticeship back in 2008, working in the trade honing my skills sense then. Based in Southend, working all over Essex.